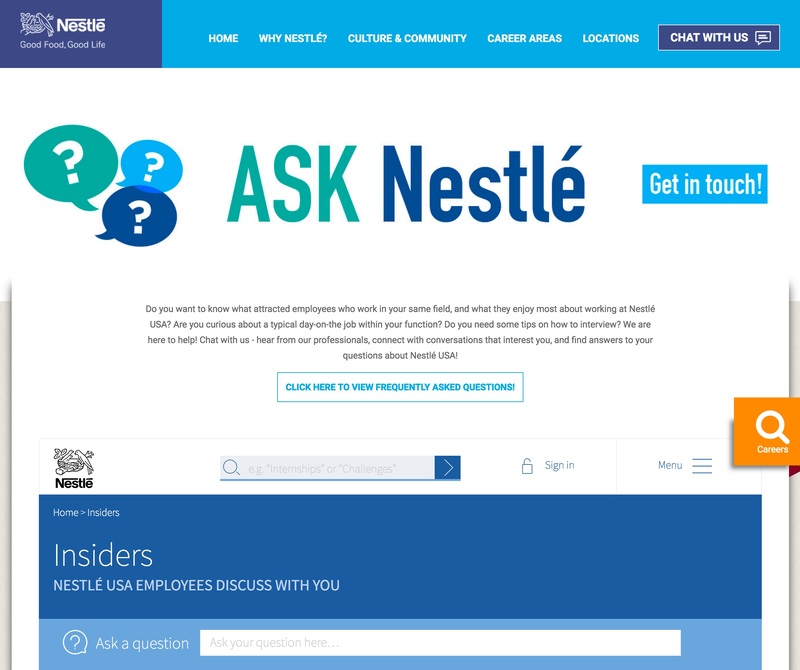 Congrats to Nestle on their launch of “Candidate Chat with Us” feature on their company career page– it’s a great example of using employees as brand ambassadors. 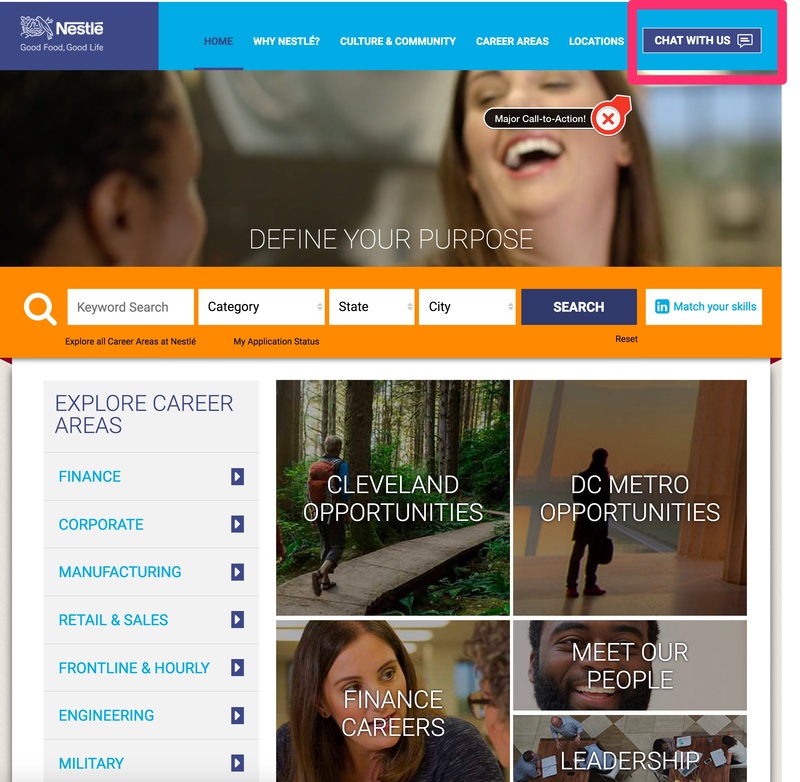 A candidate visits NestleUSACareers.com and sees a “CHAT WITH US” in the upper right hand-corner just as prominent a call-to-action button as the job search button below it (see below). 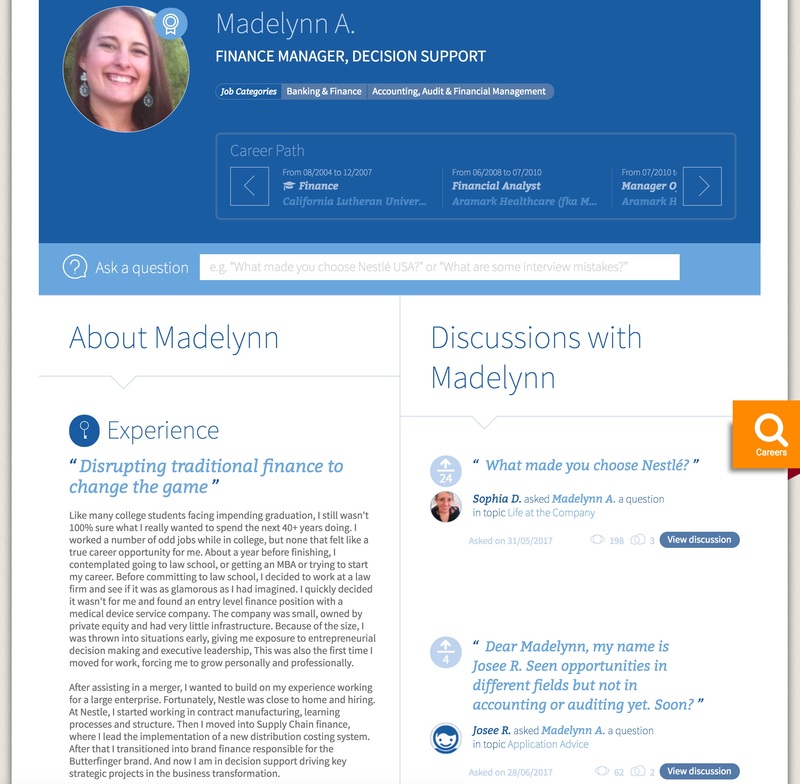 Candidate chat is a great example of what I call “employee branding” (which is just an easier way to say “Employee Advocacy”.). 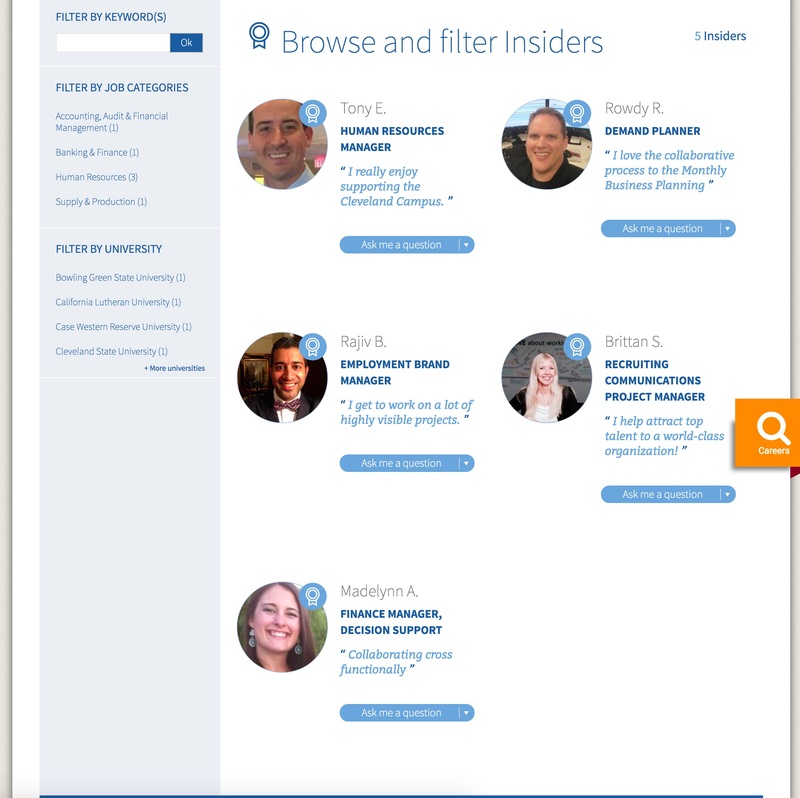 The candidate is then taken to the candidate chat page where they get to choose from 5 different employee advocates representing different departments/teams at Nestle. 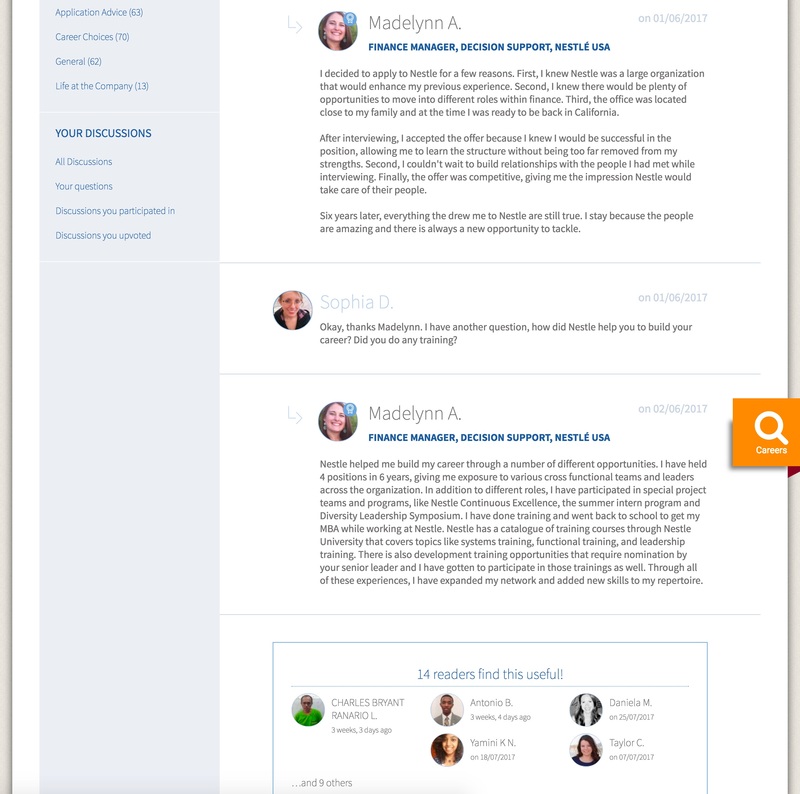 Other candidates can vote up whether they found the chat useful. Congrats to the whole Nestle Employer Branding/Talent Acquisition team — nice launch!